Wonder where your next educational decision will lead you? Wonder if you have the right high school courses? Wonder which university or college to choose? Wonder if you should apply early? 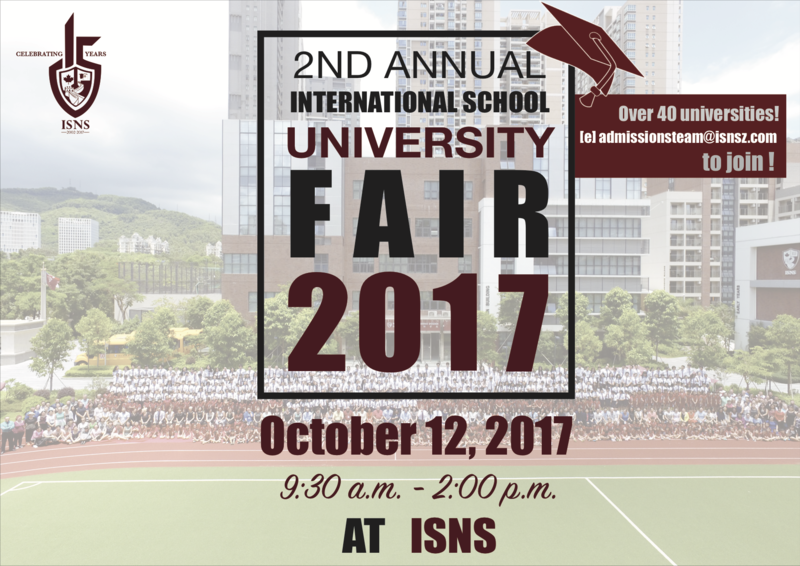 To help you make one of the MOST IMPORTANT decisions in your life, ISNS invites all IB MYP and DP students (Grades 10-12) in the Shenzhen area to join us to receive information about the courses, programs, application process, residence, scholarships, and much more from University Representatives from Canada, U.S.A., China, Europe and the UK.